My partner Gerry Turley is an illustrator too, and one of the great things about our job is that we get to travel and draw together. 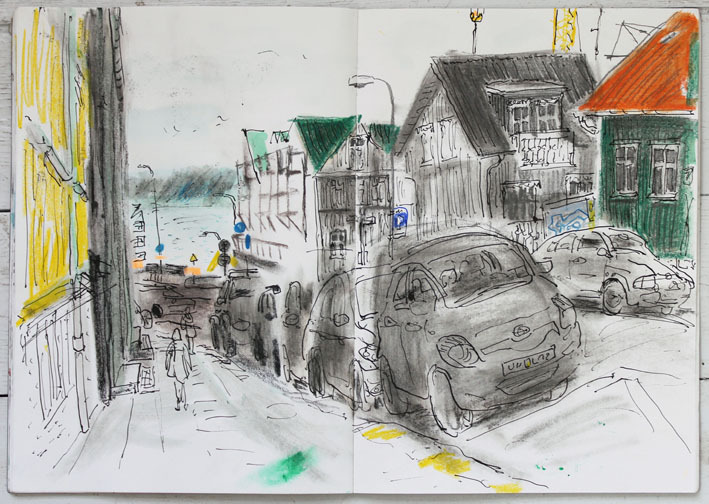 A couple of weeks ago we packed our bags, got a babysitter for Peggy dog, and headed to Húsavík in the north of Iceland with a pile of sketchbooks. The plan was to see humpback whales in their natural habitat. 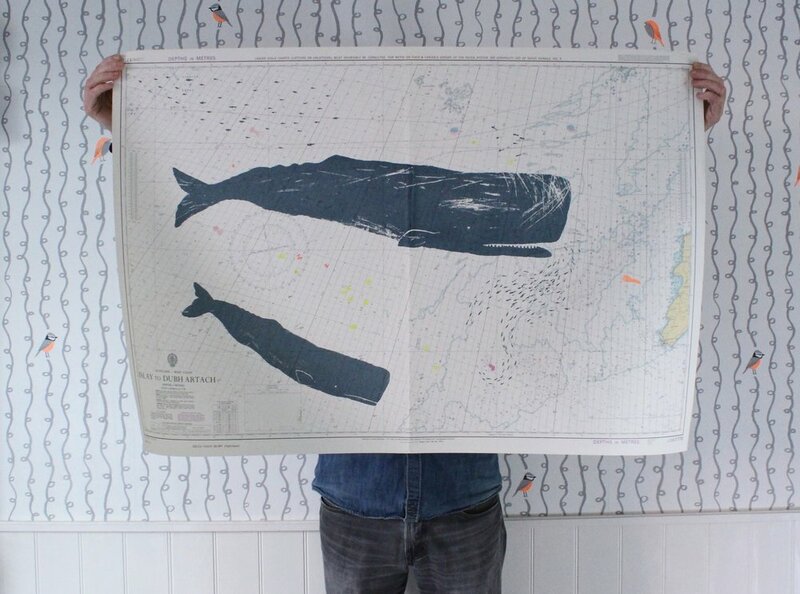 You probably know, Gerry makes beautiful screen prints of whales on to vintage sea charts (here), and we have been planning this trip for a long time. Gerry was doubly keen to go because he is also illustrating a picture book about an Arctic tern and a humpback whale for Wren and Rook Books, due to publish 2019. We were lucky to see numerous whales, including a mother and her calf and a group of males bubble-net feeding (see what that is here). Truly amazing! We are planning making a joint Sketchbookzine of this trip, we'll keep you posted on that. 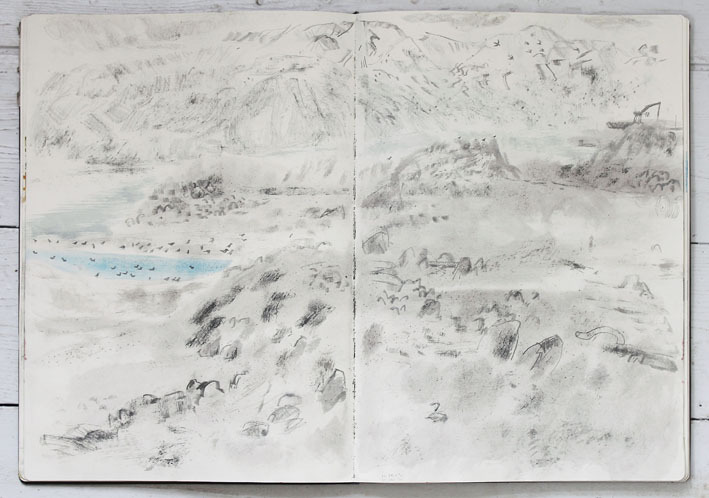 You can see some of our other sketchbookzines here. 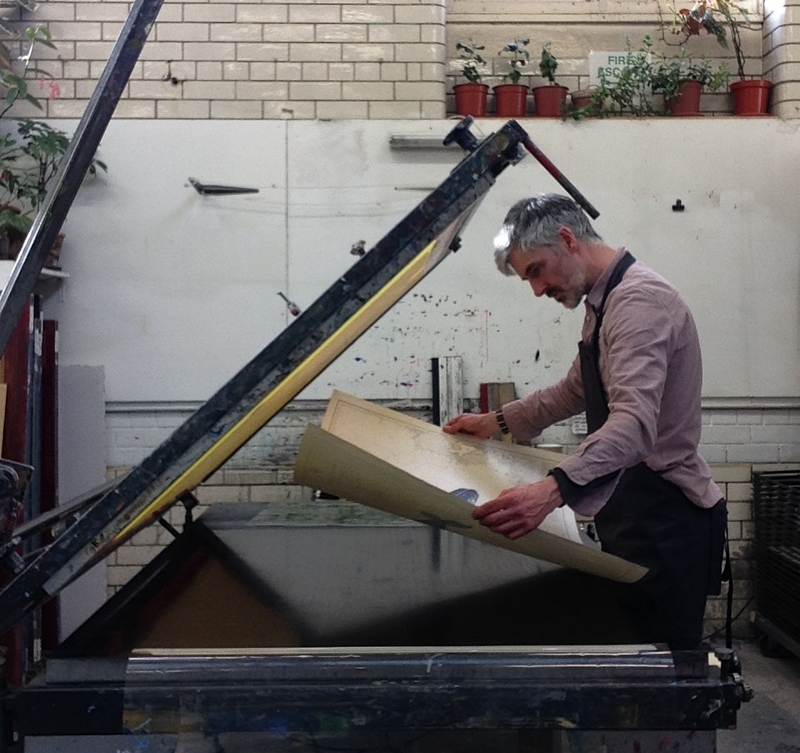 Gerry's new Humpback Whale screen print is starting to take shape, it will be in our shop very soon. His last edition was featured in The Guardian and sold out immediately, so if you would like one you can join the whale newsletter below for a heads up. This is one of Gerry's previous spermwhale screen prints. The next edition will be a humpback whale. Sign up for a heads up on new books, freebies and new products. Don’t forget to tick your preferences in the welcome email. Cheers!